Lefkas (Lefkada) has many beautiful beaches and you will find a beach here that is perfect for you. In general, the beaches on the East coast of Lefkas area gently shelving, and because the coast is sheltered by the mainland the sea becomes hotter during the summer. The South coast beaches are sunniest during the summer, and at Vassiliki the wind makes it an ideal destination for windsurfing. The West coast beaches are the most spectacular, often backed by cliffs, but can become deep very quickly. 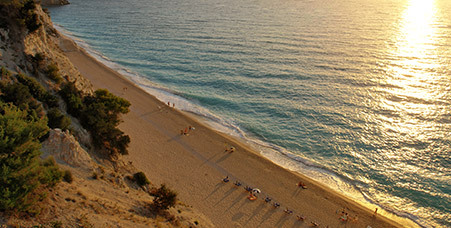 The North coast beaches, although close to Lefkas Town, are large and there is usually room even in high season. 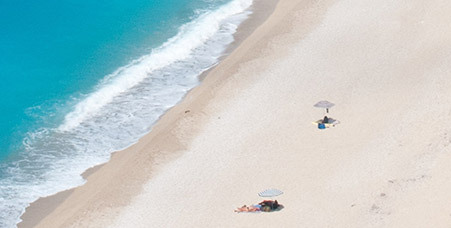 Click the links below to find out more about the great beaches of Lefkas!